John is a 48-year-old Caucasian male with a history of joint disease secondary to trauma suffered as a collegiate athlete. He loves playing catch with his sons, but his Acromioclavicular (AC joint) arthritis, as well as a right shoulder cartilage tear, made this father and son playtime a painful event to endure. An X-ray revealed right AC joint hypertrophy and degenerative changes. An MRI of the right shoulder read, “towards the inferior aspect of the glenohumeral joint, an approximately 4mm defect along the anterior aspect of the glenoid cartilage is associated with a labral tear”. John didn’t want to give up the valuable bonding activity of playing catch with his sons. John put his trust in the science and application of stem cell therapy which has shown to help heal and repair torn cartilage, as well as reduce the arthritic response of the joints. Autologous stem cells harvested from adipose cells were used. In this procedure 200c of adipose tissue is harvested from the body in a “Mini-Liposuction” procedure. The procedure is called a “mini-“ liposuction because the amount of adipose tissue needed to be removed in order to harvest stem cells is considerably less than required to do a liposuction whose purpose is fat removal for cosmetic/ weight reduction purposes. Along with processing of adipose tissue to extract stem cells, Platelet Rich Plasma (PRP) was prepared at the same time. Injections of stem cells and a PRP suspension were placed into the right AC joint as well as into the right shoulder capsule. Over the weeks following the procedure John reported a continued improvement in pain at both his AC joint as well as in his shoulder. John’s response to treatment was easy to evaluate because a throwing motion, playing football, produced pain every single time. He describes his result as very successful in terms of the reduction of pain and ease of motion of the right shoulder. Jason was a 16-year-old with Crohn’s Disease, whose parents brought him in for consultation having been advised to begin steroid treatment as the standard treatment for his condition. His family wished to avoid long-term steroid therapy and hoped to find an alternative. Testing revealed multiple food sensitivities. 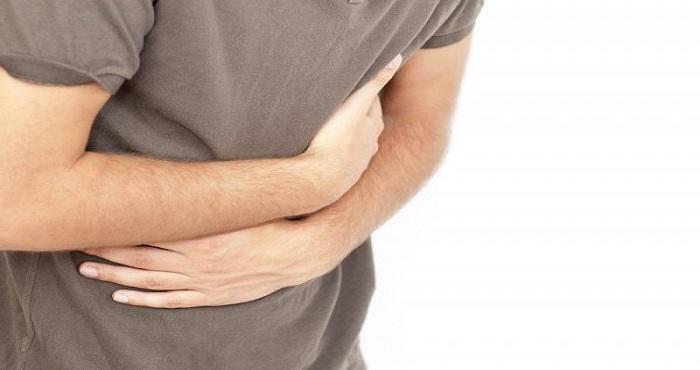 Strict avoidance of food allergens was able to improve Jason’s condition symptomatically, however repeat colonoscopies showed after several years, that the underlying Crohn’s disease was still progressing. The patient’s gastroenterologist advised the patient to begin a “biologic” medication. With the known serious side effects of the biologic medications available for autoimmune disease, Jason and his parents opted for giving stem cell therapy a try. In order to harvest stem cells a bone marrow cell extraction was performed. This is another way to derive stem cells, in this case mesenchymal cells. This is used as an alternative to adipose tissue extraction in a person who is deemed too thin to get enough abdominal fat to harvest the amount of stem cells required. For Jason’s autoimmune condition an intravenous infusion of saline with stem cells was given. Mesenchymal stem cells have been shown to have immunomodulating effects. They inhibit the activation of lymphocytes and the production of inflammatory substances which characterize the pathophysiology of autoimmune disease. Within a few days of his treatment the breakout symptoms of abdominal/rectal pain and rectal bleeding he had experienced shortly before the procedure quickly resolved. Also, Jason observed that the long standing eczema he has also suffered from was clearly improving as well. Jason and his parents will be awaiting a future colonoscopy to judge the impact of his stem cell treatment on the progression of his underlying Crohn’s disease. Meanwhile, their assessment of his stem cell treatment is that it was very successful. He states he feels better than he has in many years. 1) Chen FH, Tuan RS. Mesenchymal stem cells in arthritic disease. Arthritis Res and Ther. 2008; 10: 223-236. 2) Lacitignola L, et.al. Cell therapy for tendonitis, experimental and clinical report. Vet Res Commun. 2008; Sup: 32 suppl 1:S 33-8. 3) Ceneteno CJ, et al. Increased knee cartilage volume in degenerative joint disease using percutaneoulsy implanted, autologous mesenchymal cells. Pain Physician 2008; 11(3): 343-353. 4) Emadedin M, et al. Intra-articular injection of autologous mesenchymal cells in six patients with knee osteoarthritis. Arch Iranian Med. 2012; 15(7): 422-428. 5) Ben-Ami E, Berrih-Aknin S, Miller A. Autoimmun Rev. 2011 Jan 20. Mesenchymal stem cells as an immunomodulatory therapeutic strategy for autoimmune diseases. 6) Liang J, Zhang H, Hua B, Wang H, Lu L, Shi S, Hou Y, Zeng X, Gilkeson GS, Sun L.Ann Rheum Dis. 2010 Aug;69(8):1423-9. Allogenic mesenchymal stem cells transplantation in refractory systemic lupus erythematosus: a pilot clinical study. Dr. Sobo was born and raised in Brooklyn, New York. He completed his Internal Medicine residency at the Maimonides Medical Center in 1995. His professional memberships include the American College for Advancement in Medicine, and the American Academy of Anti-Aging Medicine. He is married with one daughter and maintains a private practice in Stamford, CT.